UK mobile operator EE carried out a successful live 4G broadcast trial during the FA Cup final at Wembley over the weekend. Viewers were able to control multiple camera angles – the BBC’s main TV feed of the game and two direct feeds from different cameras in the ground – and click to watch replays of the action as it happened. 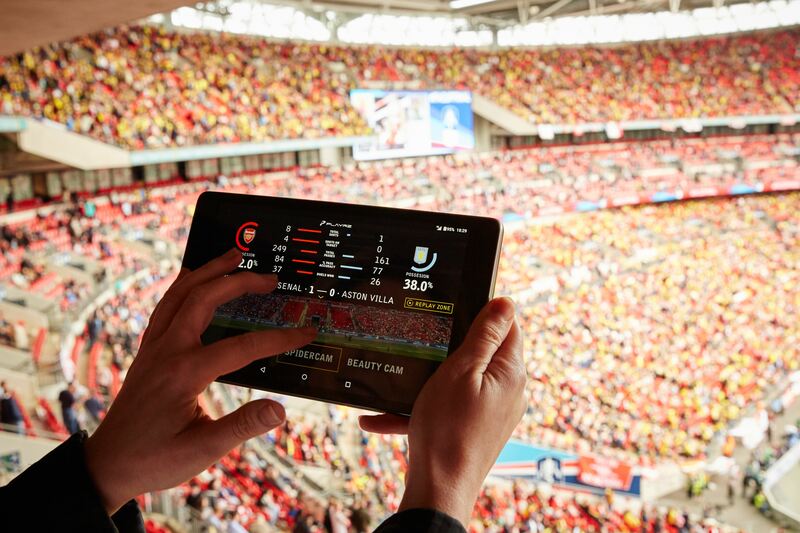 The 4G broadcast, also known as LTE broadcast, feed was accessible by selected members of the press and industry triallists in the ground via a custom-built 4G Broadcast EE app, which also included interactive game stats provided by Opta. BBC Research & Development worked with EE and other technology partners Qualcomm, Huawei, EVS and Intellicore on the trial. BBC R&D used its Stagebox technology and MPEG-DASH encoding to transfer the direct game feeds from its outside broadcast truck to the EE network in real time. EE said it now plans to build the 4G Broadcast capability into its network in 2016, and will work with device makers, content owners and broadcasters to enhance the service and to encourage adoption. “Momentum is growing around 4G Broadcast as companies from mobile, from broadcast and from content industries recognise how it can finally be the way to more efficiently deliver a truly great TV experience to large numbers of mobile viewers,” said EE head of video, Matt Stagg. 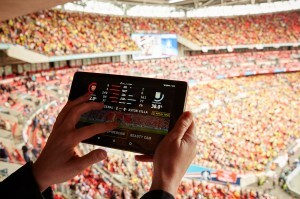 The FA Cup LTE trial comes after the BBC made what it claims was the first live UK demonstration of 4G Broadcast during the 2014 Commonwealth Games. 4G broadcast uses eMBMS (evolved Multimedia Broadcast Multicast Service) technology to makes the same live video content available to any number of people in the same location at the same time – unlike traditional unicast mobile streaming, which sends content from the network to each individual user as they demand it. This has the potential to be particularly effective in settings such as stadium events, where fans can tune into a single 4G broadcast feed of the action to avoid network congestion. Chris Nokes, principal engineer, distribution core technologies, BBC R&D, said that 4G broadcast is “equally applicable in other busy places such as train stations” where a number of people might be interested in viewing content on a mobile device. “4G Broadcast offers the potential to supply mobile viewers with good quality uninterrupted streams, no matter how many people are using the service at the same time,” said Nokes. BBC R&D said it will continue to explore 4G Broadcast technology to see how its might bring these experiences “to viewers on a more regular basis”. Nokes added that the BBC will work with others in the broadcast and mobile industries to see how the technology might be enhanced even further in future generations of mobile devices. For the EE trial, the Qualcomm Snapdragon 615 processor powered the tablet used in this demonstration. The mobile operator also used technology from: Huawei, which provides an end-to-end 4G broadcast delivery solution; EVS, which provides live video solutions to the sports and broadcast markets; and Intellicore, which makes sports and media mobile applications. “4G is not just about faster web and video download speeds, it will also change where and how we watch live events on mobile devices,” claimed EE’s CEO Olaf Swantee.